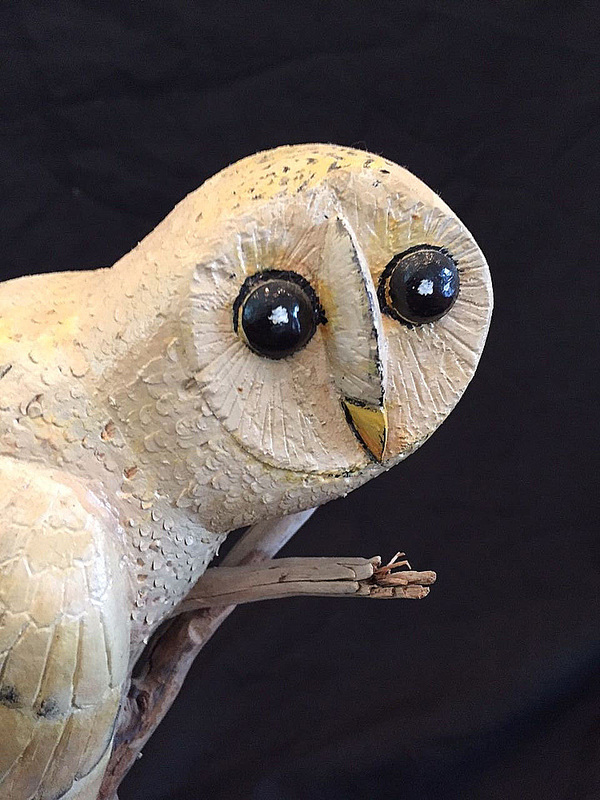 RJG ANTIQUES, Rye, NH russ@RJGAntiques.com 603-433-1770 Carved and painted barn owl. Found in Maryland, circa Mid Twentieth Century. Half size carving with exceptional feather detail in excellent original paint and condition. Owl is 8" x 8" x 4" thick; base is 12" high x 7 1/2" wide.